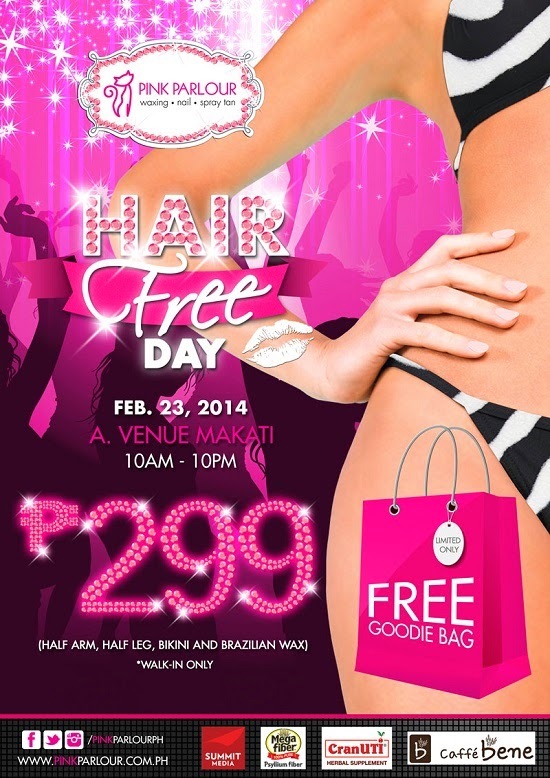 Tomorrow (Sunday, February 23rd), Pink Parlour will be celebrating it's #pphairfreeday. So what's in store for us? Their famous waxing services, including their Brazilian waxing, bikini waxing, half arm and leg waxing, will be priced at P299.00 only! On top of that, you'll be able to receive freebies from their partners for this event. This will be exclusively celebrated at their A. Venue Mall branch in Makati. Don't miss out on this great deal!